After a steady stream of leaks, rumors and speculations revealed most of its key hardware specs and software features, the Vivo NEX has finally been officially launched in Shanghai. The device is the production version of a concept phone the company had showed off at the MWC event earlier this year in Barcelona. Unlike most other modern devices, the NEX ditches the notch entirely, and offers, what Vivo claims, is a 91.2% screen-to-body ratio. 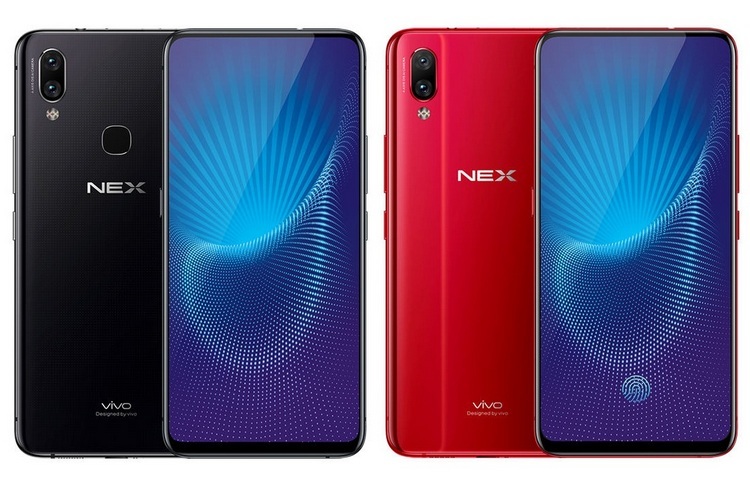 As expected, Vivo has launched three different variants of the Vivo NEX, but two top-end models (NEX S) are basically the same device and have pretty much identical specs except for the amount of built-in storage. The base variant (NEX A), however, is a relatively different device, and comes with a different processor under the hood. While the premium models ship with the Snapdragon 845, the base version is powered by the Snapdragon 710, which can be found in the Mi 8 SE recently launched by Xiaomi. 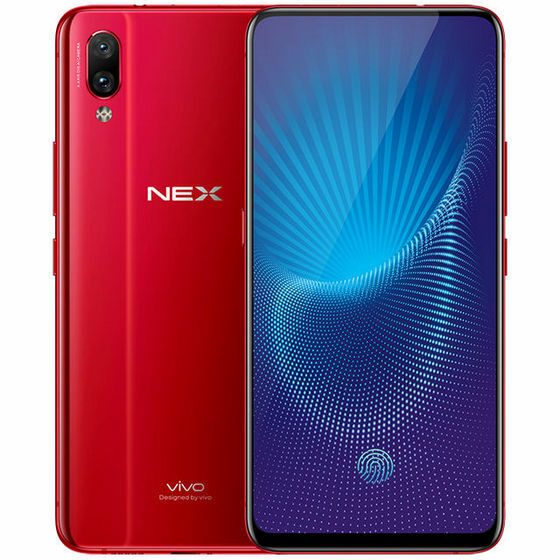 All three models of the Vivo NEX features a 6.59-inch Full HD+ Super AMOLED screen (19.3:9 aspect ratio). The two premium variants are powered by the Qualcomm Snapdragon 845 SoC, and come with 8GB of RAM. However, while the top-end model offers 256GB of internal storage, the other one comes with only 128GB. In terms of cameras, all three Vivo NEX models sport dual 12MP (Sony IMX363) + 5MP cameras at the back, with the primary sensor featuring 4-axis OIS. While the former is paired with an f/1.8 lens, the latter comes with an f/2.4 lens. The front-facing snapper, meanwhile, is an 8MP unit with a lens that has an f/2.0 aperture. The phone carries a 4,000mAh battery, and runs Android 8.1 Oreo-based Funtouch OS 4.0. The device also comes with a headphone jack alongside other standard connectivity options. Alongside the aforementioned true full-screen display, the device comes with a number of new and exciting features, including a retractable selfie-cam that pops up at the press of a button, an in-display fingerprint scanner that was first seen on the company’s own X21 UD, a piezoelectric speaker like the original Mi Mix from Xiaomi, and the Jovi voice assistant that combines the goodness of Bixby and Google Lens (not entirely unlike Bixby Vision). 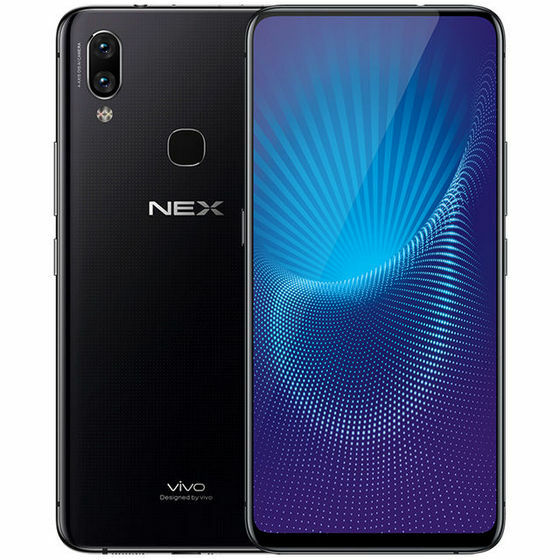 The Vivo NEX has been priced at 4,998 yuan (around $780 / Rs. 52,600) and 4,498 yuan (around $702 / Rs. 43,300) respectively for the 256GB and 128GB versions. The base model with the Snapdragon 710, meanwhile, comes with a price-tag of 3,898 yuan (around $608 / Rs. 41,000). The device will go on sale in China on June 23rd, but there’s no word on whether it will hit the global markets.